‘Well-Read Black Girl’ Is Bigger Than Glory Edim | The New York Times This September, outside a boutique store in the Bedford-Stuyvesant neighborhood of Brooklyn, members of the Well-Read Black Girl book club sat in a misshapen circle of folding chairs on the sidewalk. The sky was gray, rain minutes from spilling over onto the diasporic spread of bantu knots, dreads, twist-outs, wash-and-gos, afros and braids below; one woman covered her pressed hair with a scarf in anticipation. They listened intently while Glory Edim, who created the book club, interviewed Charlene A. Carruthers, author of “Unapologetic: A Black, Queer and Feminist Mandate for Radical Movements.” A number of passers-by slowed down to hear the two women in conversation, and by the end it was hard to say who had planned to be there and who had come upon the gathering by chance. “I want to hear them fully, and I want to help them feel listened to and seen,” said Ms. Edim of book club attendees and authors. An Rong Xu for The New York Times. Image Credit. 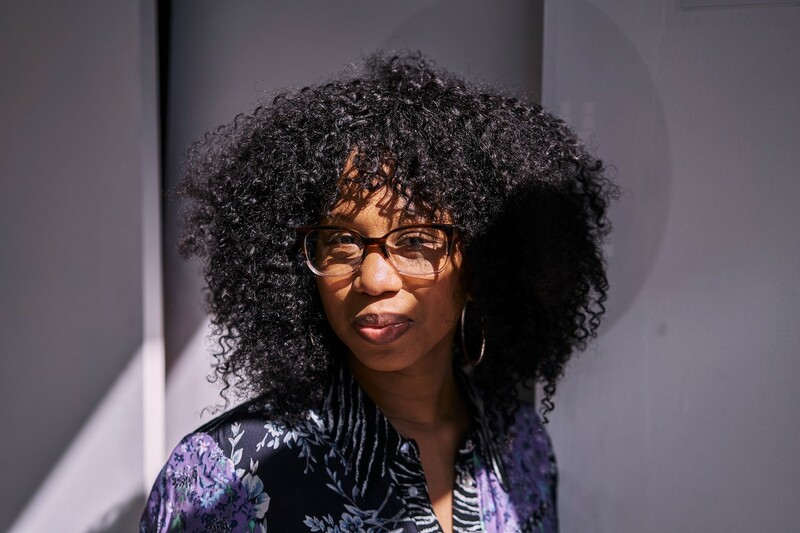 Well-Read Black Girl started as an online community in 2015, when Edim launched an Instagram account where she posted writers’ quotes and shared the books she was reading. At the time, she was working at Kickstarter as a strategist but was privately thinking of ways to channel her love of books into a career. She was inspired by a gift from her longtime boyfriend: a T-shirt emblazoned with a custom crest that included the names of some of her favorite writers — Gloria Naylor, Maya Angelou, Octavia Butler — and, in academic font, his endearing name for her: Well-Read Black Girl.